Yvonne and Keith Simpson (owners and managers) opened Murphy’s Irish Pub & Rockwater Restaurant in 1996. 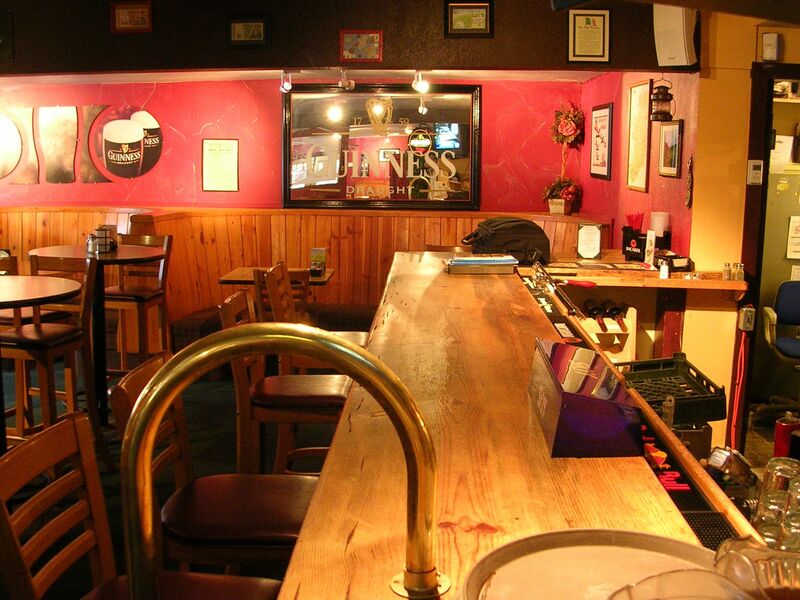 Murphy’s is the place in Tahoe for delicious food and plentiful drinks with traditional Irish Flair. Murphy’s pub has two bars, one inside and one outside on the heated sun deck. Inside, surrounded by antique, authentic Irish memorabilia, you can snuggle up to the fire place, shoot some pool, play darts, fire up the jukebox or (on the right night) dance to live music. There are several well appointed rooms that are perfect for groups, too.What’s not to love? Murphy’s serves up mounds of comfort food from the homeland. Shepherd’s Pie, a delectable mixture of mashed potatoes, gravy, ground meat, peas and carrots, is a menu staple, along with Irish stew, Bangers and Mash, Fish ‘n Chips and, of course, Corned Beef and Cabbage. Don’t worry if everyone in your party isn’t a fan of Irish fare. Murphy’s also has a beautiful salad bar, specialty vegetarian dishes, American favourites, pastas and juicy steaks. They offer first class wedding receptions, birthday parties, company events and family reunions in an outdoor Rose Garden and Gazebo. This private charming and grass garden is the ideal setting for receptions and events accommodating up to 200 guests. Their waitstaff and bartenders are extremely knowledgeable and professional. Don’t miss Open Mic Night Tuesdays at 9pm and Pub Quiz Night Wednesdays @ 6pm. looking to have about 15 to 30 people there on 10.10.2010 after my wedding Ceremony.